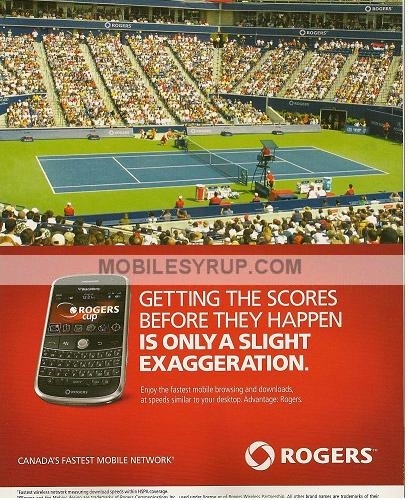 BlackBerry Bold promoted during Rogers Cup | BlackBerry Blast! Although we've seen celebrities like John Mayer and Lindsay Lohan using the BlackBerry Bold, it hasn't really been officially released yet. The announcement date is rumored to be this Friday, but RIM is already promoting the device in Canada. The BlackBerry Bold has a major presence at the Rogers Cup tennis tournament going on in Toronto. As you can see in the photo, the back of the Rogers Cup program is an ad for the BlackBerry Bold. We'll see if Friday turns out to be the official launch date. Stay tuned.